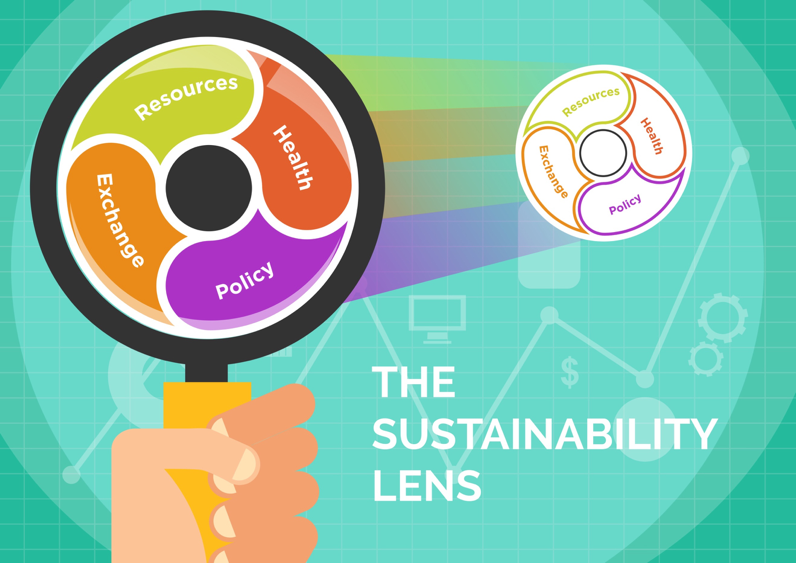 Sustainability is a long-term balance that is neither harmful to others nor depletes resources. It ensures the well-being of current and future generations. Sustainability does not just happen. It needs to be sought out, pursued, embraced and shared. It takes time, energy, commitment and tenacity but is achievable. We live in a globalized, capitalist world thrown out of balance through aggressive development which depletes resources, lives and well-being. It is not sustainable. 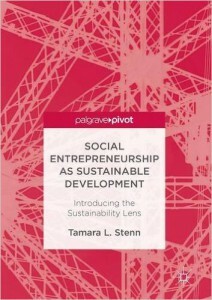 Even social enterprises may not be sustainable. Enterprises are rife with missing mechanisms and guidelines for growth, management, energy use, regeneration and engagement. The Sustainability Lens counters this. Working with existing (or start-up) enterprises, it can be used as thoroughly or lightly as one wants. Think of it as a giant magnifying glass. Depending on how it’s held – from further away things are amplified in a more general way, from up close, smaller things become visible and tiny details can be carefully examined. It is up to you how you want to hold and focus your Lens but at whatever distance, you will see new ways to build a sustainable future now with the decisions and resources we currently share.